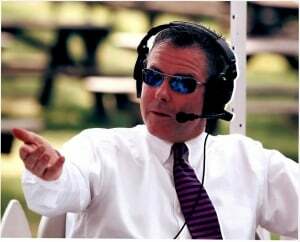 Race writer – broadcaster Steve Byk launched DerbyTrail.com in 2003, where his feature writing, race previews and editorials began attracting a loyal following. A contributor to The Blood-Horse since 2004, he joined ‘At the Races and Beyond’ on Sirius Satellite Radio in 2005, and began hosting ‘At the Races with Steve Byk’ in 2007. Heard Monday – Friday 9:00 am-12:00 pm ET on Sirius 219 & XM 201, (repeated 6:00-9:00am the next day), ‘At the Races with Steve Byk’ is thoroughbred racing’s only national daily news and talk show and features a roster of the leading voices in the game from virtually every perspective. The show also streams online – click here for broadcast. Trainer Chuck Simon and Steve introduced Dee Tee Stables in 2006 as a way to bring fans into the game as owners at a minimal cost. For as little as $500, more than 125 stables partners have joined the racing club, and have seen 4 current Dee Tee runners compete at Saratoga, Belmont, Keeneland, Churchill Downs, Arlington and Turfway Park as owners. Steve is well known at Saratoga for his Carolina Barbecue Co. Cafe on the Race Course grounds, and as the host of the Thoro-Graph Weekend Seminars there. He was named to the NTRA’s Horseplayers’ Coalition Advisory Panel in 2008. You can reach Steve by phone 1-855-428-7295 by email, or learn more at www.derbytrail.com.